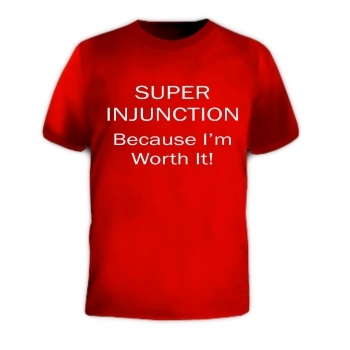 Super Injunction - Custom Printed T-Shirt - APRINT for Custom T-shirts, Screen Printing, Embroidery personalising Workwear, Schoolwear. Super Injunction, Because I'm Worth It! T-shirt.